Lexicon® has a history of making effects that alter how music is mixed, and the PCM Native MultiVoice Pitch fits right in. This plug-in is the result of over 40 years of finely-tuned algorithms being combined to make something that didn’t exist until our engineers dreamed it up. Get ready to define the sound of the next generation. The Lexicon MultiVoice Pitch algorithm is a pitch shifter, but with a twist. This algorithm is a multi-voice delay containing an independently controlled pitch shifter on each voice. It also provides feedback control which can be used for creating arpeggios. Pitch can be adjusted in semitones and/or cents. The MutiVoice Pitch algorithm has 6 total delay voices (3 delay voices per input channel). Each voice has independently adjustable delay time of up to 4.75 seconds. The MultiVoice Pitch plug-in excels at thickening up vocals, creating lush shifting effects, or creating far-out special effects. Pitch shifting came into being via the simple process of slowing down or speeding up the recording mechanism. At first, it was primarily used for cartoon voices starting in the 1930’s, but eventually found its way into popular music in the 1960’s and 1970’s, most notably with bands like the Beatle’s and Led Zeppelin. In recent years, the ability to affect pitch and time changes has been greatly improved, leading to many variations in the effects processing world. 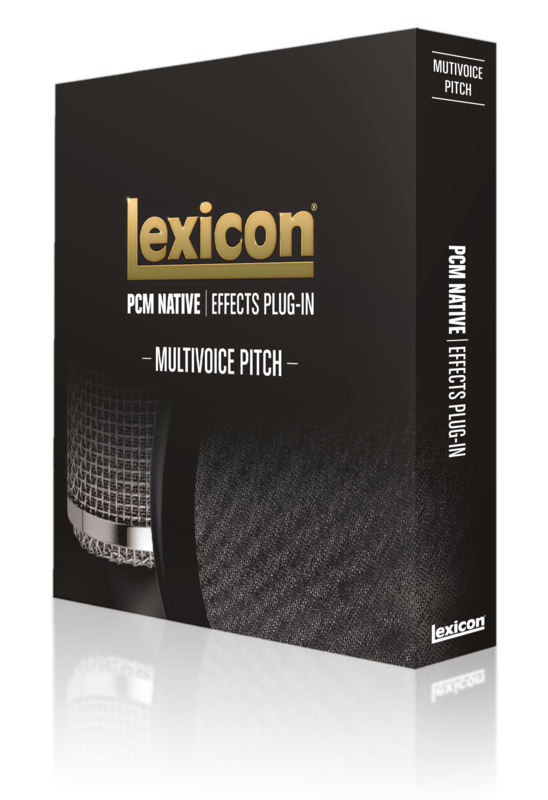 Pitch shifting has been an option in Lexicon® effects for over 20 years and the PCM Native MultiVoice Pitch takes it to the next level. The heritage of Lexicon with the sound of the future, this is a plug-in that will change your sound forever. 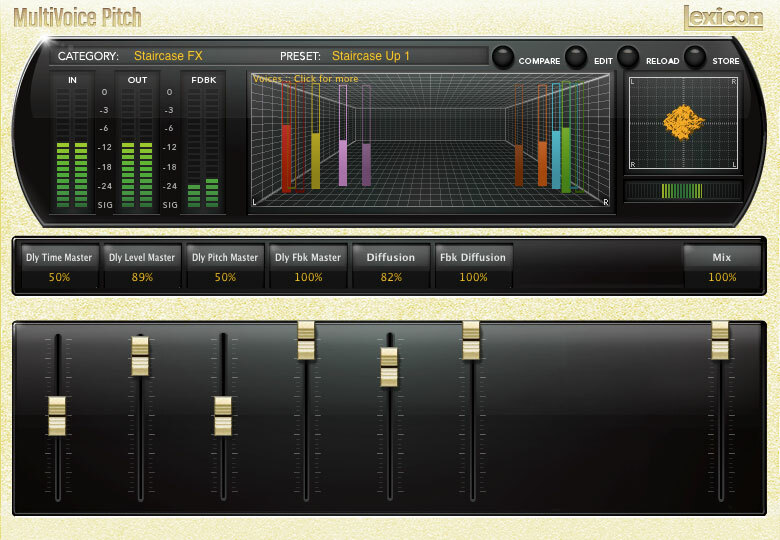 The PCM Native MulitVoice Pitch is also available as part of the PCM Native Effects Bundle. For other variations on Lexicon Pitch, please look at the PCM and MPX hardware series.